A hard day for Chico | Can I Bring the Dog? 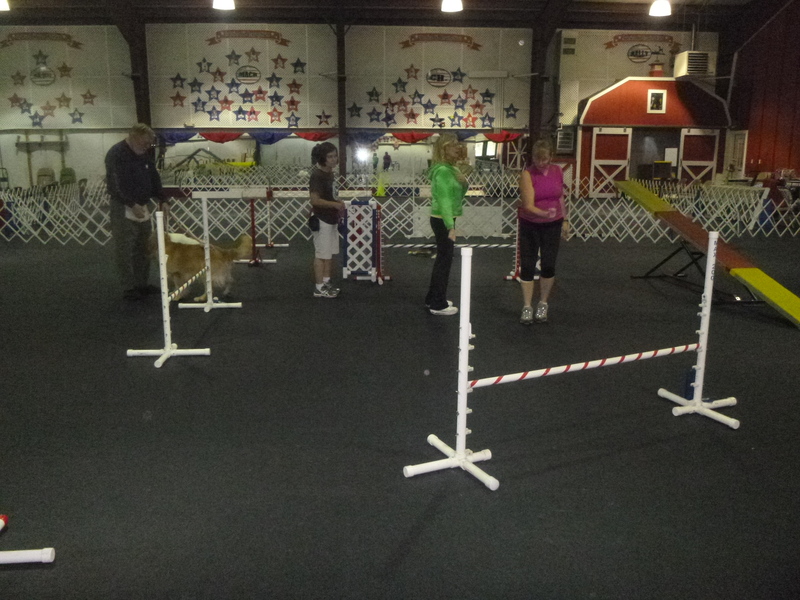 Yesterday Chico and I went to American K9 Country, where Julie teaches on Wednesdays. I asked for help with the “weave poles away from home” problem and we went there to do lots and lots and lots of weave poles, away from home. Chico has been to AK9C plenty of times, with Julie when he’s on board and train, with me for classes and for a dozen trials. Yesterday he started to show anxiety the moment we walked in the door. He wouldn’t eat steak or cheese, two high-value treats that usually get a great response. Yesterday, about half the time they were offered, they didn’t cut it. There was panting, yawning, positioning himself to be right touching to me – it was not normal and not nice for either of us. We went into the ring to get started and as we were all paying attention to Julie, behind me I heard Chico go into snark mode on a dog. It was a golden retriever that we’ve been with before, I don’t know what happened exactly; most likely the dog was being inquisitive and didn’t heed a silently-presented curled lip from Chico, I wasn’t watching and Chico decided to “protect” both of us. 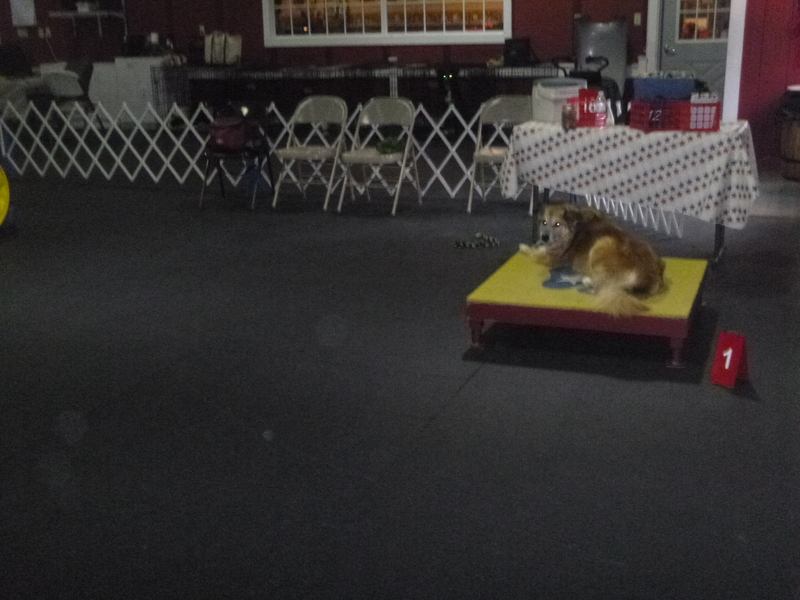 I took him to the other side of the ring, where he hopped up on the table and did a down. The table was waaay over in one corner of the ring. Nice and safe. And everyone else was waaay over on the other side of the ring. An the rest of the day was kinda like that. There’s no more pictures because I was so focused on the dog. Chico would weave for me, but for the most part awfully slowly, he didn’t look very happy a lot of the time, I responded with pretty-forced enthusiasm that only made things worse, in retrospect I might have been stingy with my rewards – it got to be time to stop and regroup. This entry was posted in Uncategorized and tagged American K9Country, Julie Daniels, nervous dog, positive reinforcement. Bookmark the permalink.